this session was a remarkable one as three cabinet ministers from the ruling party actually visited the house to answer queries during Question Time of the session. They were labour minister Lyonpo Dorji wangdi; finance minister Lyonpo Wangdi Norbu; and agriculture minister Lyonpo Pema Gyamtsho. Well done. I congratulate the National Council and the Cabinet for resolving their earlier differences. So yesterday, it was our agriculture minister’s turn. He too didn’t show up for the National Council’s “Question Time”. And the Council had to adjourn, yet again. If our ministers feel that they do not need to report to the National Council, they should explain that to them. It‘s a matter of common decency. And, a matter of the law. But, if our ministers refuse to justify their absence, the National Council should call on them to explain why they need to attend the Council’s Question Time. This standoff is unnecessary. And it is dangerous. Today, Friday, July 3, 2009, will be remembered as a dark day in the history of our democracy for two reasons. One, the National Assembly started imposing its ban on live TV coverage of its proceedings. And two, a cabinet minister refused to report to the National Council for “Question Time”. The National Council had directed the home minister to report to them today, in person, to answer questions. The questions had been sent to him in advance. 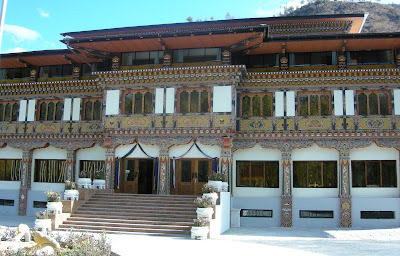 Lyonpo Minjur, however, did not report to the Council and submitted his answers in writing. The refusal of a cabinet minister to report to the Council undermines the mandate of the National Council and the democratic process.